Crafters in search of versatile scrapbooking products at a budget-friendly price have been happily using Miss Elizabeth's scrapbooking stickers and other supplies for years. Miss Elizabeth's scrapbooking products were designed and manufactured exclusively for the Dollar Tree chain of discount stores by Chicago-based Chartwell Studio, Inc. Dollar Tree discontinued much of the line, including the stickers and paper in 2007. According to the company's American distributor, Notions Marketing, a few independent scrapbook stores and smaller chains may still carry some remainders, but Miss Elizabeth's stickers are no longer being manufactured and have limited availability. Miss Elizabeth's full product line included scrapbooking paper, stickers, and tools. The paper and stickers were produced in pastels and primary colors and had a timeless, whimsical style. This is a style that many scrapbookers, particularly beginners, find easy to work with because it blends with many different page topics and does not look dated. 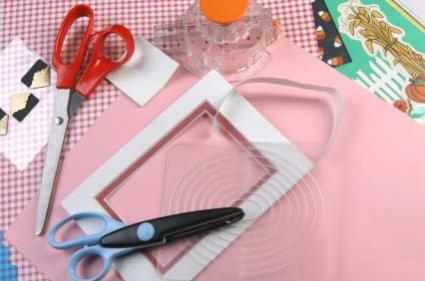 Miss Elizabeth's scrapbooking supplies are popular not only because of their easy-to-use style and versatility, but also because of their original Dollar Tree $1 price tag. In contrast, other alphabet stickers could cost $2, while three-dimensional stickers such as Jolee's Boutique might sell for $3 or more per pack. Now that remainders are being sold through independent scrapbook stores, the retail price is set by the storeowner and may be higher or lower than the original $1. Because the company has discontinued the Miss Elizabeth's line, the stickers and papers can be difficult to find. You may discover a hidden stash at your local scrapbook store, but your best bet is to check an online auction site like eBay. A search through an online search engine like Google may also generate some results. If you're lucky, you may be able to locate bulk lots or clearance sales that will allow you to scoop up multiple packs at once. Be prepared: Because of their short supply, Miss Elizabeth's stickers will be available only in limited quantities, and may be sold for well over their original price.